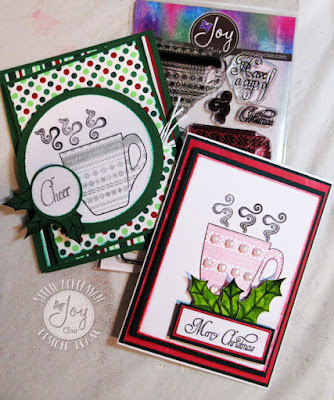 Hi everyone, I'm on the Joy Clair blog today with 2 different stamp set. I've used the Christmas Coffee stamp set, creating 2 different cards. The MISTI really helps when aligning images. I first stamped the pattern in gray ink, then stamped the mug outline on top. 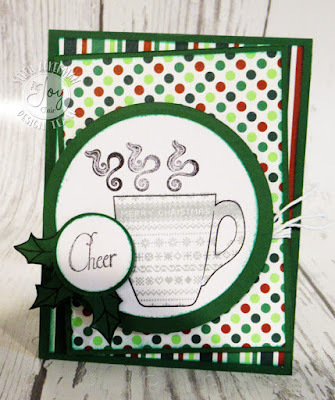 I created a card from green cardstock and pattern papers. 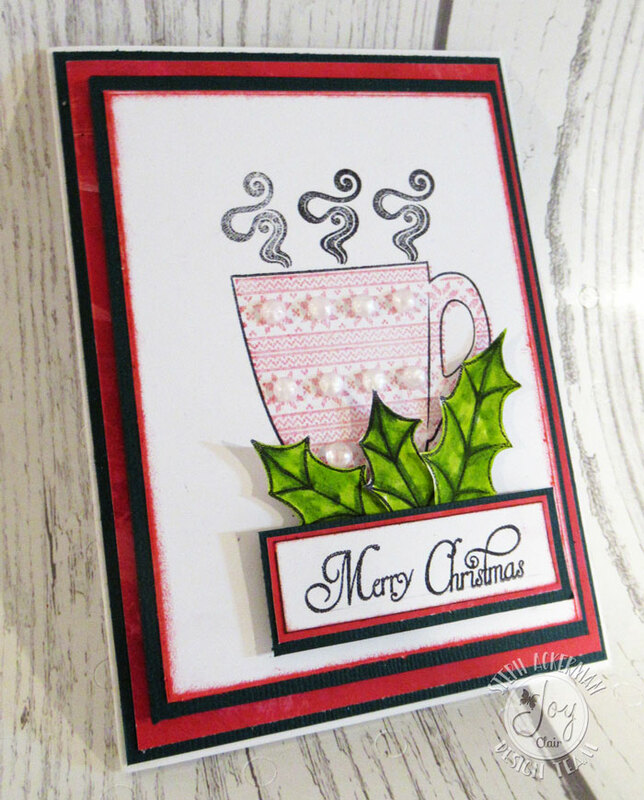 The top panel was wrapped with Whisker Graphics twine and added to the card with foam adhesives. 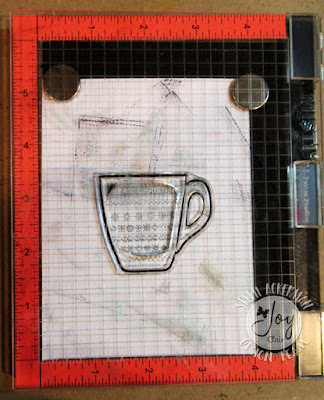 This cup was die cut and matted with a larger die cut. The sentiment was added to the corner and stamped leaves underneath. Using the MISTI again, I stamped the pattern in red ink and placed the mug outline on top with gray ink. 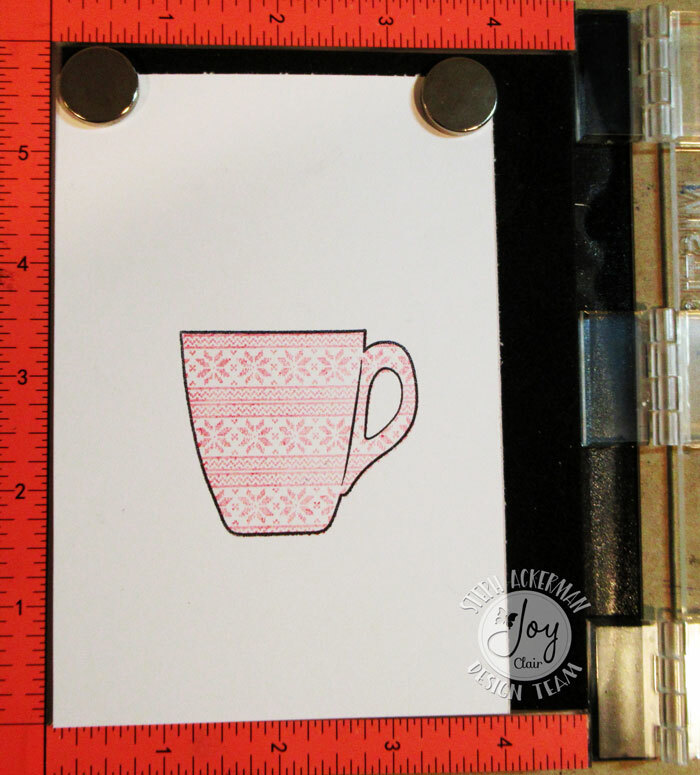 The card was created by adding the stamped panel on layers of black and red cardstock. 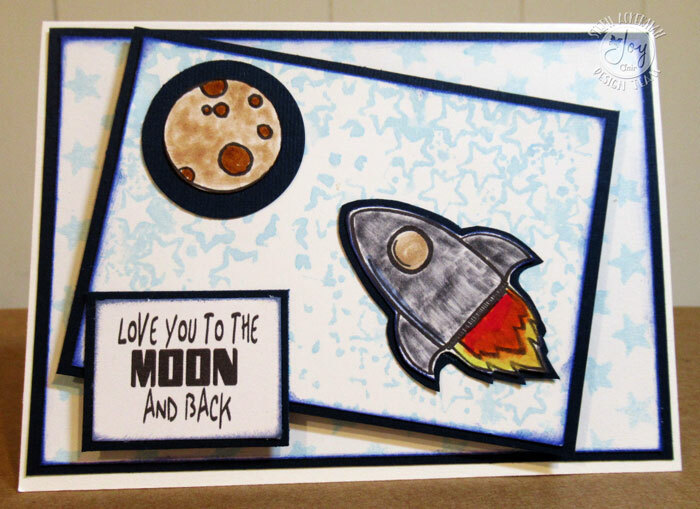 The sentiment was stamped, matted and added to the card with foam adhesives. The leaves were stamped, colored and fussy cut. I ended by adding pearls to the mug. I also created another card using the Out of this World stamp set. 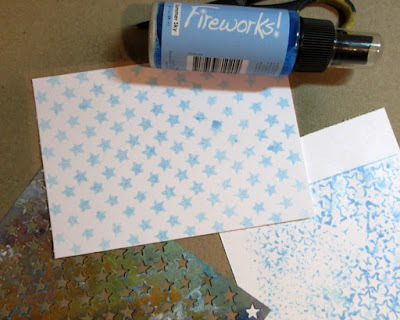 I used Fireworks spray with a stencil creating both positive and negative images which I used on my card. 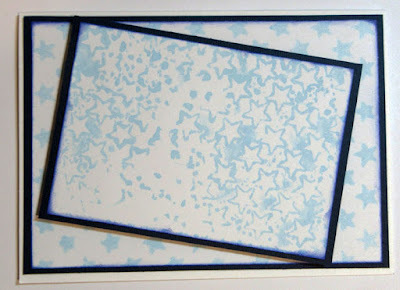 The negative image was achieved by placing another sheet of cardstock on top of the spritzed stencil. 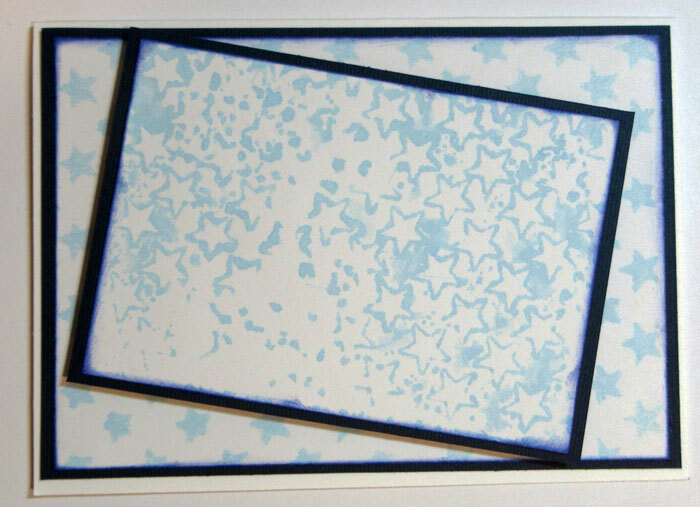 Each panel was matted with cardstock and added to the card. The spaceship and world were fussy cut, colored and then matted with cardstock.